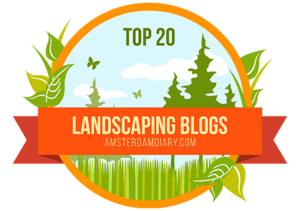 At Earth First Landscapes near Houston, we are truly grateful for a great year and the opportunity to provide South Texas with commercial landscaping contracting and maintenance! With Thanksgiving Week upon us, it's natural to consider all we have to be thankful for and at Earth First Landscapes near Houston, we are truly grateful for the opportunity to serve you and your commercial landscaping needs. 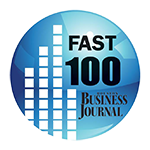 We have experienced yet another year of tremendous growth and have enjoyed serving Houston and the surrounding areas with commercial landscaping, irrigation and grounds maintenance. Contact our team today to hear how Earth First Landscapes in Katy, TX can provide the landscaping you and your company needs! At Earth First Landscapes in Katy, our primary services include irrigation, landscaping, masonry and grounds maintenance. A well-designed irrigation system with correct installation and proper maintenance is and extremely important factor for a successful landscape. Our team of licensed experts at Earth First Landscapes provide exceptional care from planning to designing, installing and managing your irrigation system. Whether you're in need of a new landscaping project or in need of updating or maintaining your existing landscape, look no further than our dedicated and professional commercial landscapers at Earth First Landscapes near Houston! We will help you develop and maintain a sustainable environment that is beautiful and efficient. As our team is happy to show you, hardscapes have become an important part of beautiful landscaping. Our creative and attentive team can design and install brilliant masonry or flatwork in your landscape and will get it right the first time, every time! After you've invested in a beautiful commercial landscape in South Texas, allow our team to provide the timely and regular maintenance necessary for longevity and efficiency. We look forward to getting your commercial landscape where it needs to be and where you've always dreamed it could be. Earth First Landscapes near Houston wishes you and your family a Happy Thanksgiving and looks forward to serving you and your commercial landscaping needs soon!